Cleveland got its nickname "Forest City" for a reason. There's nothing like taking a walk in the park while the trees and plants show off their fall colors. 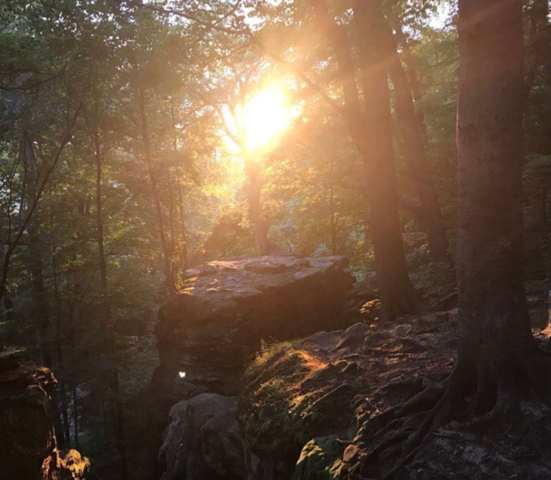 Northeast Ohio has nature parks, centers and hiking trails that fit any hiker or walker's level of expertise and curiosity. Probably hands down one of the best views to see fall colors. Located in the Akron-area, the Virginia Kendall Ledge span about two miles. The overlook is perched atop the nearly 100-foot tall ledges, making it a perfect view of tree skyline. The creek is the largest tributary that feeds water into the Cuyahoga River so it provides a variety of natural wonders. The creek drops 220 feet over the course two miles. Catching it during a high rainy season gives visitors a view of the steep, walled gorge. 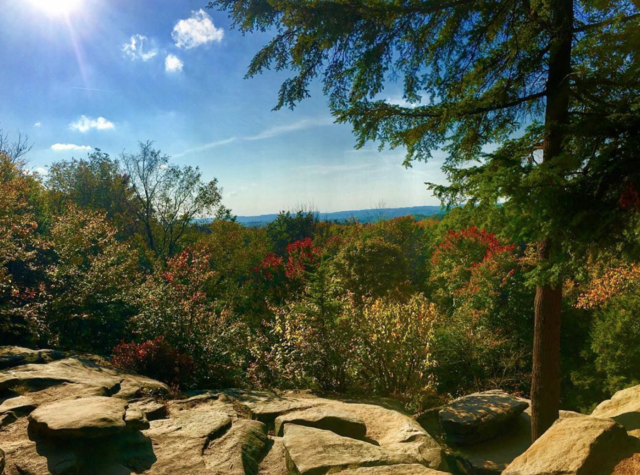 In the fall, the overlook reveals autumn's kaleidoscope of colors. Navigating through the crevasses carved out by glaciers offers visitors more than just a walk on a trail. 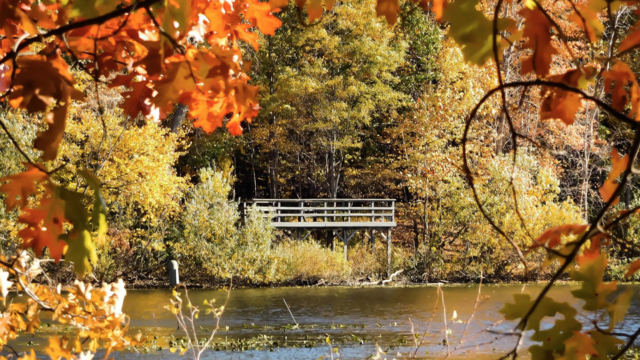 Located in Hinkley Township, the park contains nearly 20 miles of trails for both walkers and horseback riders. 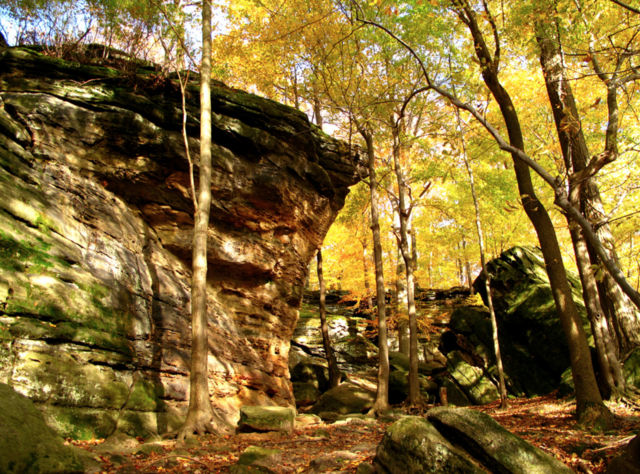 Small caves, rock climbers and fall colors are just some of the sights one will see while hiking in this 2,803 park. 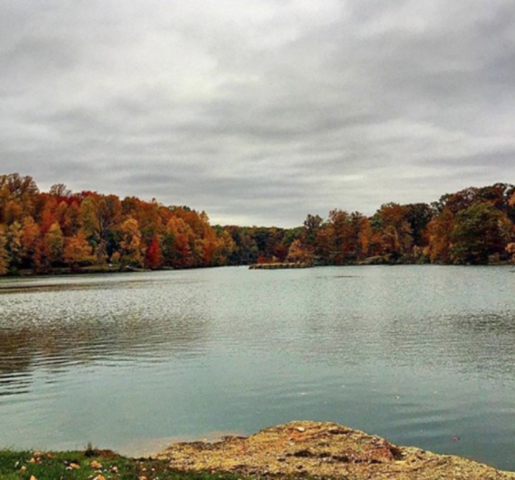 Mention where to find fall colors and The Holden Arboretum is probably on the list. 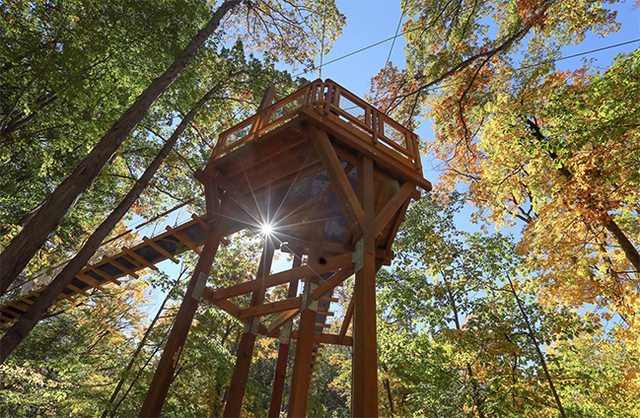 It's practically an outdoor playground featuring cultivated gardens, trails, the Murch Canopy Walk and the Kalberer Family Emergent Tower that stands 120 feet above the forest floor. One can stand tall among the trees and get a true sense how fall changes the Northeast Ohio landscape. Need we say more? Spanning several cities, the Rocky River Reservation's massive shale cliffs rise above the sycamore and cottonwood trees. The variety of trees offers a mix of fall foliage to see. Trails twist and turn through the valley's floodplain forests and meadows. The reservation includes a nature center, marina and stables. The Berea Falls are an urban waterfall treasure and since it's surrounded by trees, it's ideal to see the changes of the season. 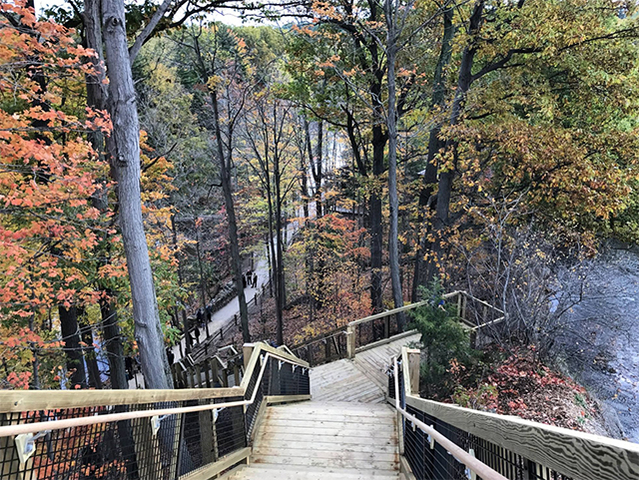 The Fort Hill Stairs ascends about 90-feet above the east and west branches of the Rocky River, providing an optimal view of fall foliage. 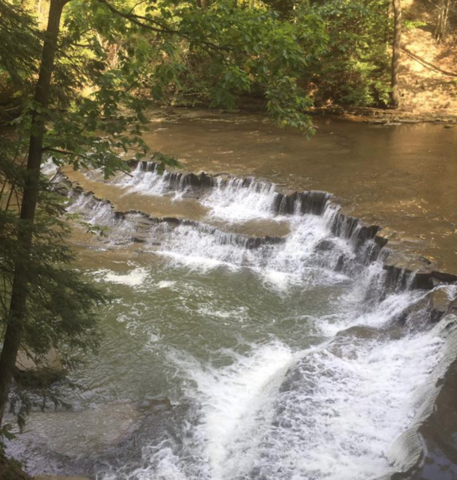 Hike the Buckeye Trail along the streams and ridges along the Chagrin River. In the summer months, visitors will find swimmers cooling off under the waterfalls but in the fall, it's about capturing the fall colors. 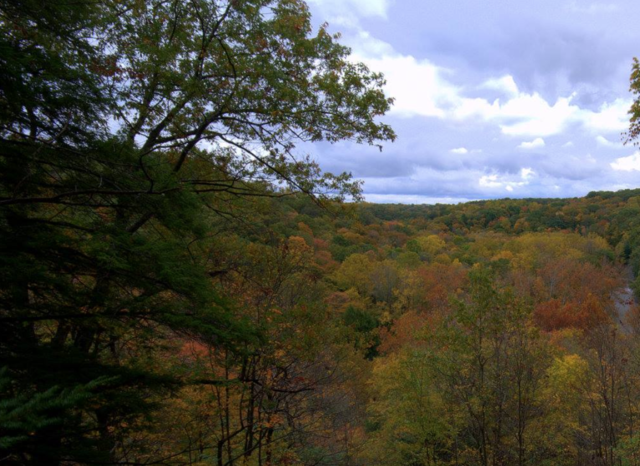 The South Chagrin Reservation provides hikers trails that are at different heights. This heavily wooded area is an excellent spot to spot fall foliage. The oaks and tulips provide another colorful element to nature's landscape during the fall months. The park has ledges that extend more than 1,100 feet in length—providing a heighten view of the colorful tree tops. If you're looking for a photo opportunity with water and fall foliage, then this is the place. 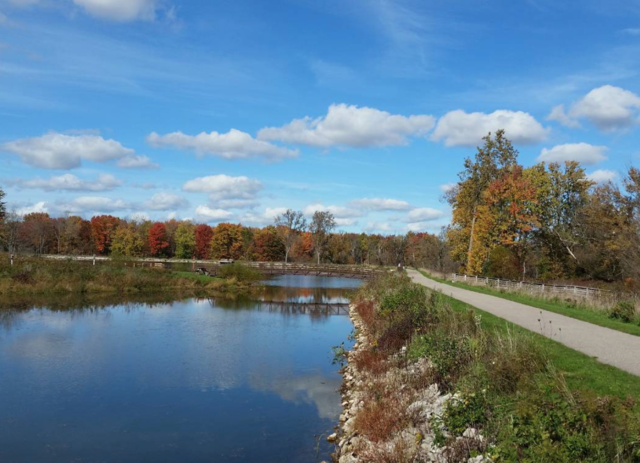 The park offers trails spanning 1.6 miles that are paved and wheelchair accessible. The Waterfowl Walkway takes nature walkers to a vantage point that is relaxing and photo worthy. Whether it's on a ledge by the water or deep in the woods, but colorful views are everywhere in the 250-acre park. When there isn't a festival in the summertime, Nelson Ledges Quarry Park are a good getaway close to Cleveland. If you are not quite ready to say goodbye to summertime lake activities, the Lake Erie Bluffs offers shoreline view of trees and trails. The 50-foot observational tower gives 360 views of Lake Erie and all things nature.